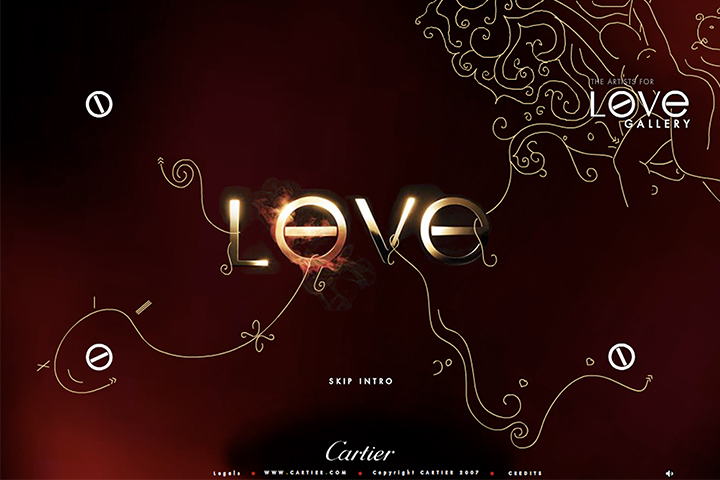 The work was created for a project for a renown jeweler as they pose the question “How Far Would You Go For Love?” and invited seven young artists to each make an artwork in response. 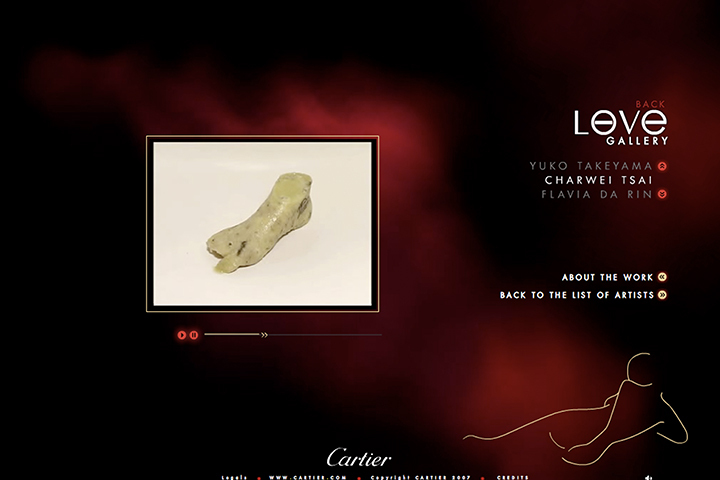 The video was presented as part of an online exhibition from 8 June 2007 ~ 25 August 2009. Below is the work description by the curator of the project Hélène Kelmachter from Fondation Cartier pour l’art contemporain, Paris and the artist. Curator: In a work of poetic strangeness, Charwei Tsai paints mantras onto ephemeral surfaces such as blocks of tofu, petals, and fruits. An exploration of the fleeting nature of things, her work expresses the finitude of being. For her, love too is destined to wither away. The desire for a perfect love incites her to flee the perspective of a relationship, which like an over-ripe fruit, will rot. For the Love website she has made a molding of her foot in cheese and tattooed the ankle. She then left this imprint to decompose in her studio, filming its gradual disappearance. 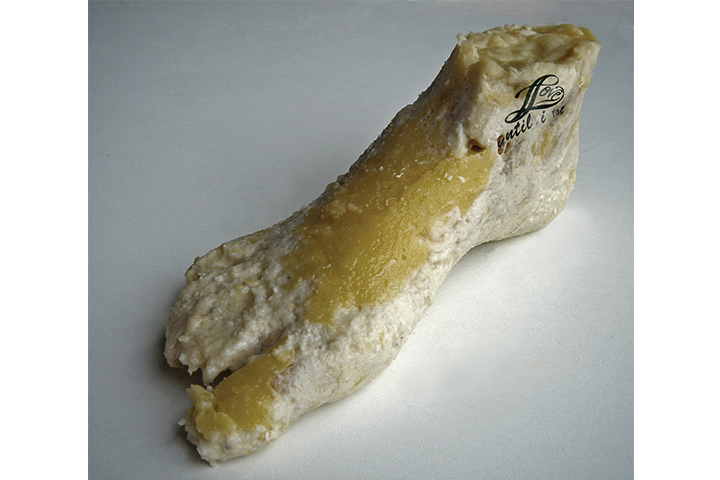 Artist: I tattooed the words “Love Until I Rot” on a foot (casted from my own) of rotting cheese. I enjoy working with cheese a lot, as on one hand, it is eminent for its foul odor and texture covered with microorganisms rotting and growing at the same time; on the other hand, the taste gets better with time, and the stronger the taste is, the more addictive it can be. Tattoo attracts me for the same sense of contradiction, as it is often believed to symbolize eternity, especially when applied to love, while at the same time, our skin as a canvas is ever changing. For me, for better or worse, everything is in constant flux, and love cannot escape this vigorous cycle.